He will come through the seed of the woman (Gen 3:15). He will come through the line of Shem (Gen 9:25-27). He will come through the line of Abraham (Gen 12:3). He will come through the line of Judah (Gen 49:8-12). He will come through the line of Jesse (Is 11:1a). He will come through the line of David (2 Sam 7:10-13; Ps 132:11b). He will come from the town of Bethlehem (Micah 5:2). He will come as a child and a son (Is 9:6a). He will be born of a virgin (Is 7:14). He will be called “Immanuel” (Is 7:14). He will be called “the Lord our righteousness” (Jer 23:6; 33:16; cf. Mal 4:2). He will be called Wonderful Counselor, Mighty God, Eternal Father, Prince of Peace (Is 9:6c). He will come in humility (Zech 9:9). He will serve as a prophet in Israel (Deut 18:15, 18; cf. John 6:14). He will bring good news to the afflicted (Is 61:1-3). He will crush the head of the Serpent (Gen 3:15). He will wash away the guilt of sinners (Is 4:1-4). He will serve as a channel of divine blessing to the world (Gen 12:1-3). He will be rejected by man, pierced by the Jews, and crushed by God the Father (Is 53:1-12; Zech 11:4-14; 12:10; 13:7; cf. Ps 22; cf. Dan 9:26a). He will die as a substitutionary sacrifice for guilty sinners to provide forgiveness and salvation (Is 53:1-12; Zech 3:9). He will be resurrected from the dead (Ps 16:10; cf. Acts 2:31). He will come again in judgment upon the nations (Is 63:1-6). He will bring destruction to the enemies of Israel (Num 24:15-19). He will reign in perfect peace, justice, and righteousness as King over the entire earth (Gen 49:10; Num 24:17-19; Ps 2:6-12; 110:1-7; Is 9:6b-7; 11:1-16; 42:1-4; Jer 23:5; 33:14-2; Zech 9:10). He will build the Temple of the Lord and rule on His throne as Priest (Zech 6:12-15). He will unify and restore the nation of Israel (Ezek 36:16-38; 37:15-28). He will feed and protect Israel as her divine Shepherd (Ezek 34:23-31; 37:15-28). He will bring salvation to Israel and reign over her as King (Is 49:5-6a; Micah 5:2; Jer 23:5-6; 30:21; 33:16; Ezek 37:15-28). He will be appointed as a covenant to the people and a light to the nations of the earth (Is 42:5-6; 49:6; cf. Is 55:4; cf. Mal 3:1). He will be given glory and everlasting dominion over all the nations of the earth, and His kingdom will be established forever (Dan 7:13-14; 2 Sam 7:10-13; Ps 132:11b). Over the years, we at Expository Thoughts have touched on preaching the OT from a variety of angles. I’m convinced that it is one of THE issues to consider both hermeneutically and theologically. Below is a round-up containing some of our essays addressing the issue. We have all grown since some of these articles were written but the general principles and root ideas remain the same. Should we spiritualize a text? Did Jesus? We’re having a great discussion about preaching the OT in a post down below. One of the misconceptions of Jesus’ statements about the OT in Luke 24 is that He changed the meanings of OT texts or what some may call “spiritualizing” their meaning. This needs to be unpacked but I’m not convinced that Jesus or the Apostles changed the meaning of any OT text . . . ever! If by that it is meant that they set aside the meaning of the original text and replaced it with a new meaning. Expansion, elaboration, and intertextuality is one thing but saying that Jesus and the Apostles set aside the original intent of the author is a forced argument (usually for the sake of one’s theological system). Within limit, my brethren, be not afraid to spiritualize, or to take singular texts. Continue to look at passages of Scripture, and not only give their plain meaning, as you are bound to do, but also draw from them meanings which may not lie upon their surface. is totally dependant on Christ (the Head). How should we preach the OT? This is a question that is often pondered by pastors and theologians alike. First, we need to drink deeply from Paul’s words to Timothy in 2 Tim 3:16-17. When the Apostle penned those words, he was speaking directly about the Hebrew Scriptures (our OT). This should at least give the expositor some pause before he utters statements like, “we need to make the OT relevant.” I’m not trying to split hairs but the Scripture is alive and relevant well before we get to any application in our sermon. Secondly, it is unnecessary and wrong-headed to make Christ appear in OT passages where the authorial intent or progressive revelation (also intertextualities) does not lead us to such conclusions. Beware of those who can make Jesus appear with any mention of blood or wood (i.e., the cross). The fact is, the Messiah is fully anticipated in the OT so we do not have to make Him appear by being clever but by faithfully expositing the text and that in the context of redemptive history. For specific help on this read this and this. Thirdly, I am somewhat questioning of the constant pleas for Christ-centered preaching if that means excluding Jesus’ own emphasis on glorifying the Father (see John 17) or downplaying the activity of the Holy Spirit in the lives of believers. I think it is important that our preaching not be Christless but for that matter it should not be deficient in any aspect or person of the holy Trinity. Christ-Centered Zeal: Some Concerns from an OT Scholar. In this essay/interview, OT theologian Paul House offers a helpful perspective on current trends and cautions for those who preach the OT. 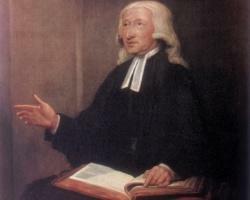 Preaching Christ From the OT: an Interview with Sidney Greidanus. In this interview one can get a feel for Greidanus’s emphasis in his written works on this subject. While I have numerous reservations about some of his conclusions, he still offers a helpful voice on this vast subject. Telling the Good Story: An Interview With Steve Mathewson. In this interview, Mathewson offers a careful balance to some of the overstated maxims of the redemptive-historical school of preaching and the strict “Christ-centered” approaches. In his written works he rightly focuses on the authorial intent as key to the meaning of the text. The Temptation: Adam in Eden or Israel in the Wilderness. In this blog post, Will Varner grapples with the nature of intertextual workings between the Testaments. This is a vast subject but you can see here how Varner thinks through some of the issues with this particular example. The reading of the Scriptures must never be perfunctory or merely formal. It should not be a mere authoritative presentation of facts or proclamation of words . . . The reader must live his ideas at the time of utterance. . . . He can manifest to others the impressions made on his own being. . . . [For] when one soul is made to feel that another soul is hearing a message from the King of kings, he too bows his head and hears the voice of the infinite speaking in his own breast. –S. S. Curry, Vocal and Literary interpretation of the Bible (New York: Macmillan, 1903), 132.